Come to XO Bar on Saturday, 25th August for a one-of-a-kind wine master class! 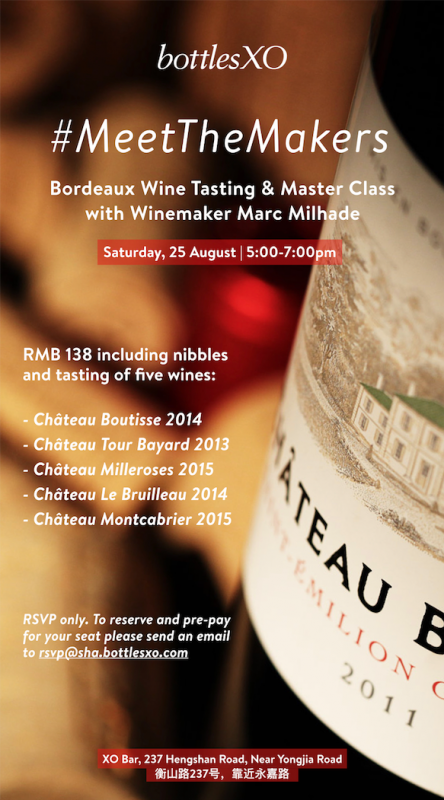 We’ll be joined on this very special occasion by Marc Milhalde, owner and winemaker of Château Montcabrier, Château Boutisse and Château Tour Bayard. He will be opening a range of exceptional Bordeaux bottles. On top of that, he’ll be offering some of his in-the-know wine knowledge. RSVP is essential. To reserve your spot and pre-pay, please send an email to rsvp@sha.bottlesxo.com. 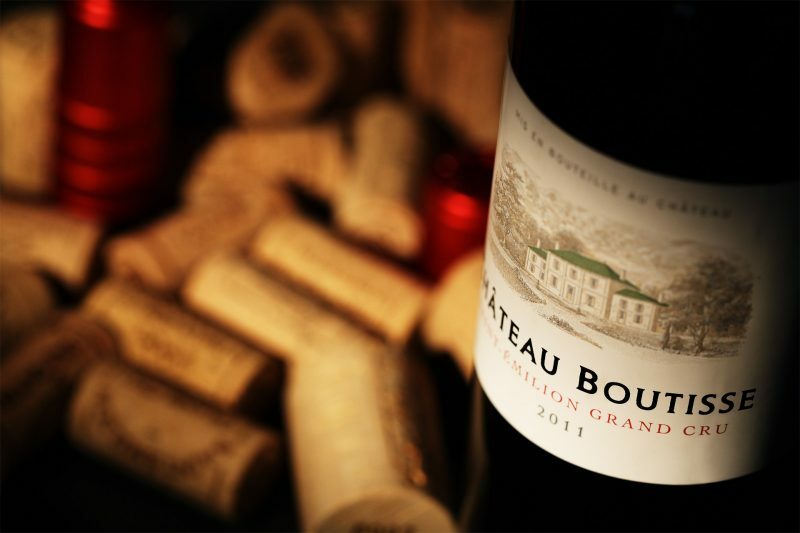 Get a wines imported from Bordeaux and much more instantly delivered to wherever you are in Shanghai and Suzhou. Click here to download the BottlesXO app and place your order with no minimum order or delivery fee.